According to the National Business Daily, chocolates that are made domestically have suffered a crushing defeat against foreign brands ahead of the Valentine season. The newspaper cited that domestic brands were seldom seen on display shelves of several supermarkets in Beijing. "Most domestic brands are waiting for foreign brands to step into the market and educate consumers then reap the spoils by simply copying what they do," said Zhu Danpeng, a researcher at the China Brand Research Institute. Zhu also noted that after China's most popular domestic brand, Le Conte, suffered market share slumps and temporarily shut down for a new buyout, China-made chocolate almost lost its self-owned brands. Zhu added: "Although chocolates shaped by domestic makers as gold bars, gold coins or any other characters that are popular among Chinese customers raised a certain (portion) of market share during the Chinese New Year period, deficiency of brand awareness still resist domestic brands' business expansions in the first and second tier cities. "Most of the domestic brands have to slip into tier-three or tier-four cities to overcome market share losses by competing with western brands." As most online shoppers are keen on purchasing well-known western brands that have a more favorable reputation, online sales for domestic vendors remain dim. 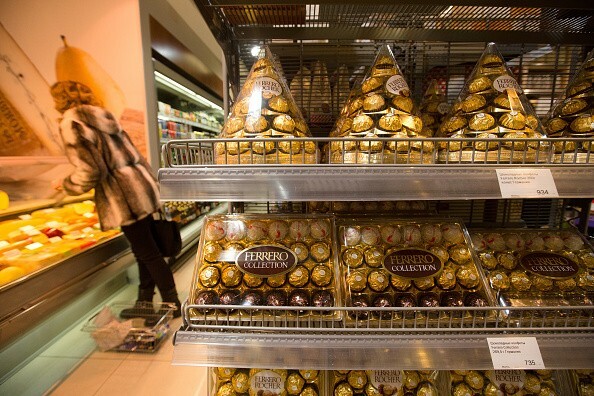 The statistics data of China Merchant Securities indicated that the western brand Ferrero Rocher stood out from the crowd as it has accounted for 17.8 percent of the market share. Other leading brands reached 39.8 percent in total, including Dove Chocolate, Snickers and M&Ms, among others. To add to the sluggish sales of Chinese brands, fake commodities have also continued to damage the growth of domestic brands. According to Zhu, domestic brands that have achieved a position in the low-end market may develop more authorized cartoon-featured products in order to solve certain rigid demands in third-tier cities, fourth-tier cities and the rural market.